USANA, word! : Five ways to better eye health - go on, take a peep! Five ways to better eye health - go on, take a peep! Let's look at eye health! ﻿ ﻿﻿﻿According to Vision Australia, nearly 300,000 Australians are blind or vision impaired, and this figure is expected to rise as more baby boomers reach retirement say the Australian Bureau of Statistics. The good news is that it’s never too late – or too early to nourish your eyes. Here are five simple ways to boost your eye health! Regardless of the time of year, if it’s sunny, protect your eyes from intense sunlight. Choose good quality glasses that filter blue light and have 100 per cent UV protection. Spending long hours working in front of a computer screen can cause eye strain. Likewise, if leisure time means time in front of the screen. So, make sure to take regular breaks. And, to ease strain, regularly focus on an object in the distance. Smoking increases the risk of age-related macular degeneration (AMD) and cataracts. The noxious mix of chemicals in cigarette smoke robs the blood vessels of oxygen. Smoking also reduces the levels of two key antioxidants, lutein and zeaxanthin. Healthy eating is vital for body and mind and it’s also vital for your eyesight. Antioxidant plant pigments including lutein and zeaxanthin are concentrated in your eyes where they work a bit like sunscreen – absorbing potentially damaging blue light and soaking up free radicals (molecules that can damage cells and slow down the regeneration process). A great source of these vital nutrients is fruit and vegetables. Leafy veg such as kale, cabbage and spinach, as well as yellow and orange capsicums, mango, blueberries, bilberries and citrus fruits like oranges provide lutein and zeaxanthin. Also, oily fish that’s rich in omega-3 fatty acids such as salmon, fresh tuna and sardines can help to support healthy vision – it’s especially good for lubricating dry eyes. Yet the vast majority of us don’t manage to eat enough. USANA’s excellent ethically-sourced BiOmega™ is a great choice and if you’re after a vegetarian source of these essential fats, snack on the delicious Go Nuts ‘n’ Berries™ which provide 500mg – the same as one capsule of BiOmega – in every yummy snack bar. For good eye health, you need to eat lutein-rich veggies for months before you see the benefits. And, a healthy diet is and always will be the cornerstone to better body health. But, if you want to protect your eyes fast, think about taking a supplement. This is especially important for people who smoke and older individuals – especially if you don’t manage a healthy, balanced diet. Our wide spectrum nutritional supplements – HealthPak™ and Essentials™ provide a very wide range of protective vitamins, minerals and plant pigments. Another study showed that lutein supplementation of 15 mg every three days significantly improved visual sharpness and glare sensitivity in older people. Plus patients given lutein had improved macular function ’. 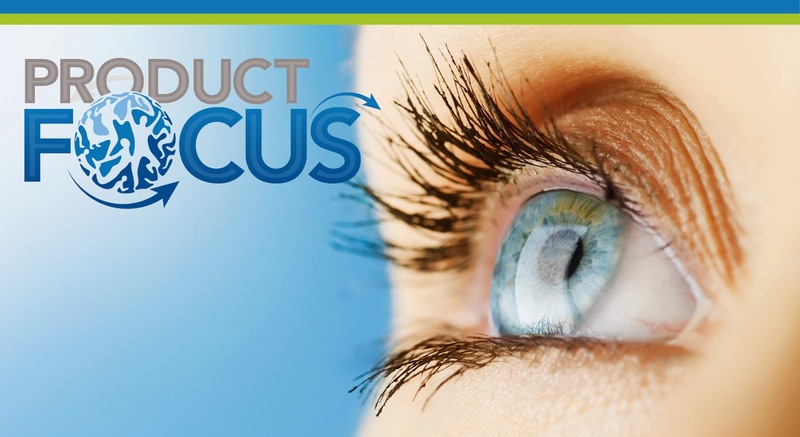 USANA Health Sciences daily eyesight protection formula, Visionex™ has been developed to promote healthy eyes and acute vision. It contains two of the most powerful eye-protective, free-radical fighting antioxidants lutein and zeaxanthin plus other antioxidants including vitamin C which is also highly concentrated in the eyes. Looking for better eye health – the look no further!